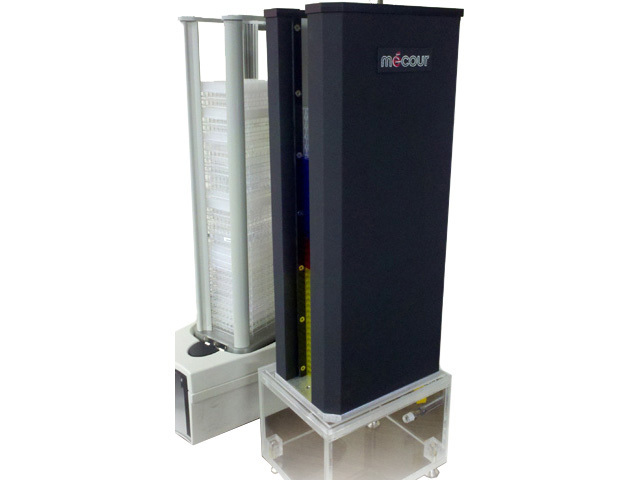 MeCour thermal plate stackers originally designed to integrate with Caliper Twister II platforms. Plate capacities range from 20 to 40 standard plates. 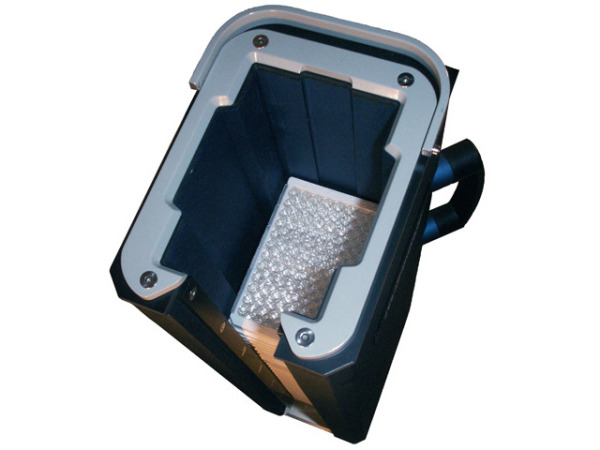 Deep well plates can also be accommodated. In an effort to control and/or eliminate unwanted condensation, a gripper-friendly exterior cover was designed to enclose plates in stacker. Gripper can both remove and load this cover. 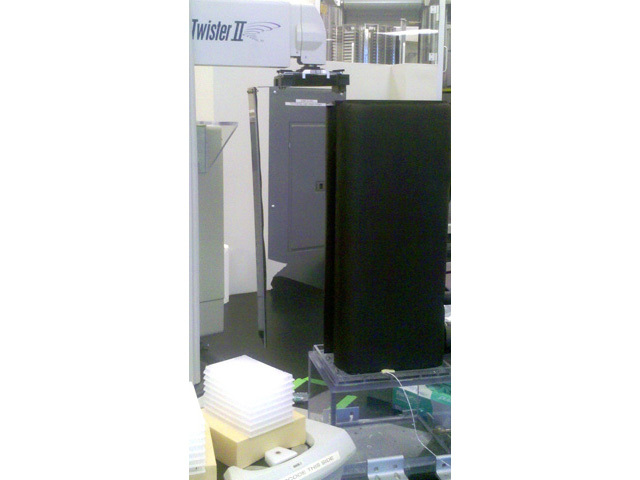 Thermal plate stacker sits adjacent to standard plate stacker pod for Twister II access. 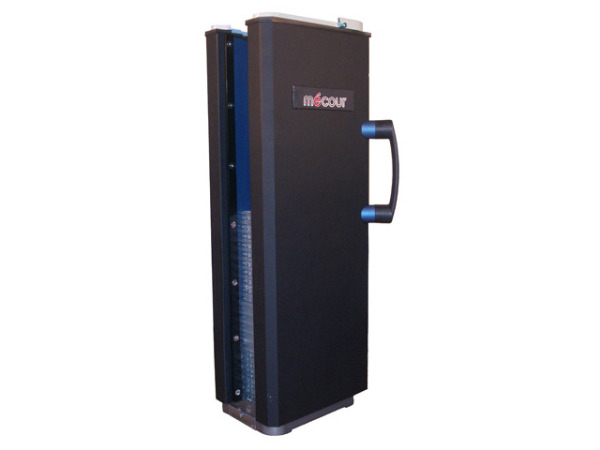 MeCour thermal plate stacker easily integrates with existing or new automation platforms. 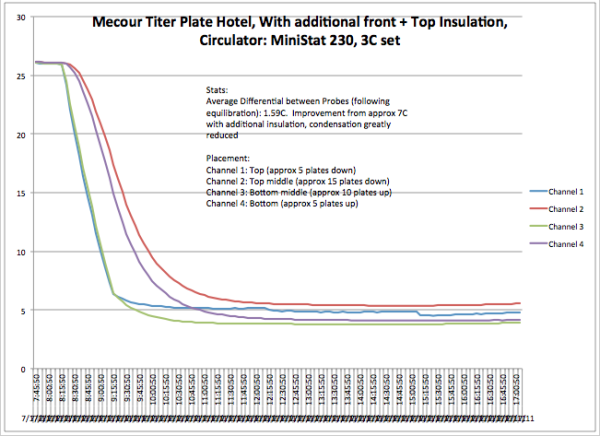 Above thermal map of MeCour plate stacker details consistent temperature control of virtually all plates at 4C. Please note stacker temperature range -10 to +150°C.